Nintendo has announced that a free software update for Kirby Star Allies will be made available later this month, marking the arrival of DLC Wave 3. 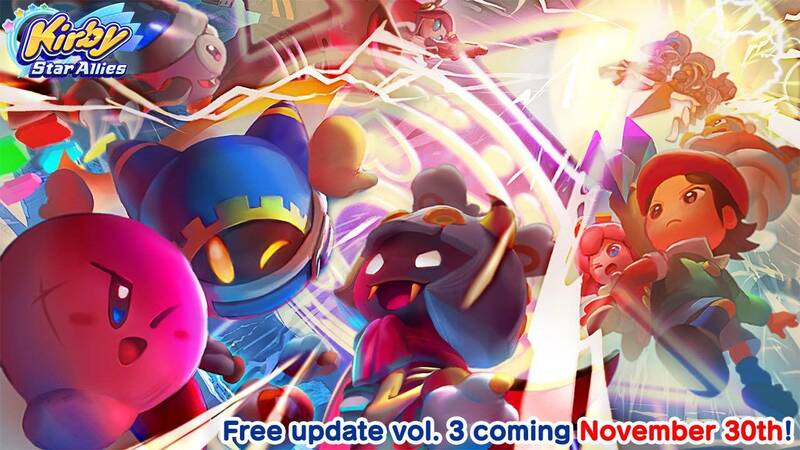 This substantial update, which releases on Friday 30th November, will add Magolor (Kirby’s Return to Dream Land), Taranza (Kirby Triple Deluxe) and Susie (Kirby Planet Robobot) as Dream Friends that can accompany you on your adventure. It will also add the Heroes in Another Dimension mode, a challenging addition in which you will recruit Dream Friends as you progress through stages. You will also have the chance to fight tougher “Parallel” bosses, with the trailer revealing Parallel Big Krakao, Parallel Woods, Parallel King Dedede and The Three Mage Sisters. Kirby Star Allies is now available exclusively for Nintendo Switch worldwide.